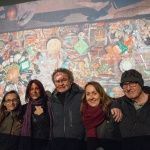 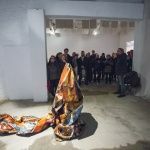 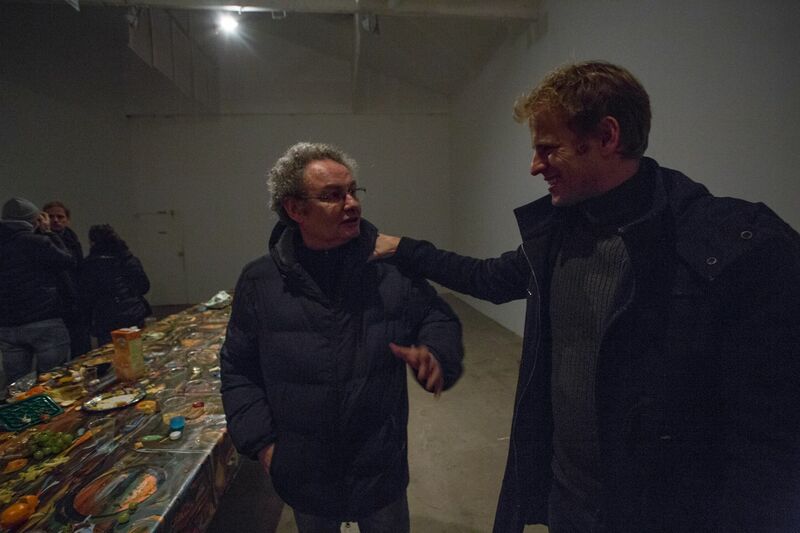 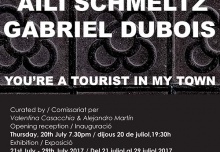 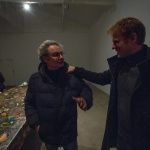 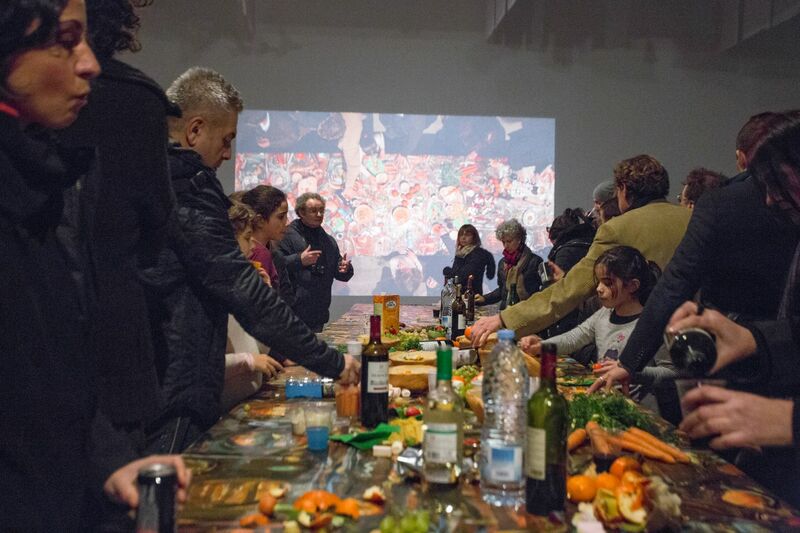 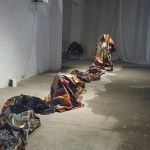 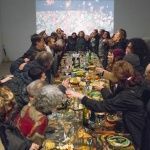 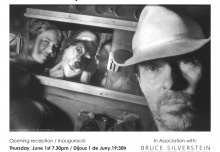 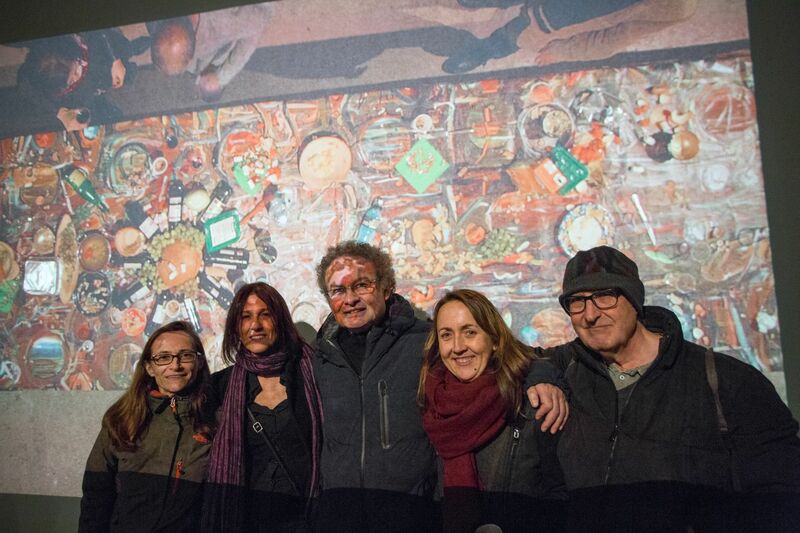 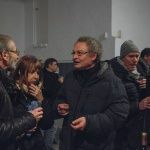 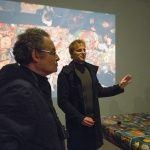 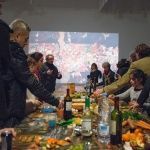 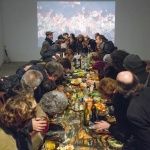 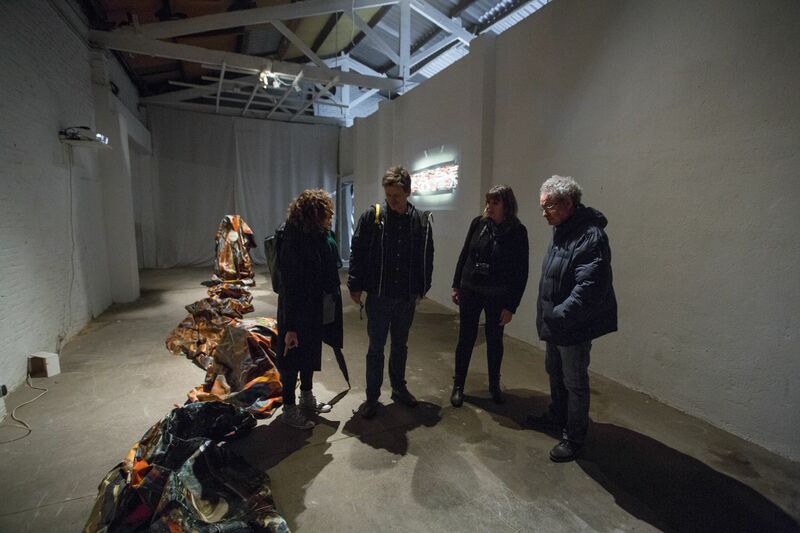 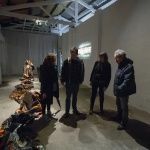 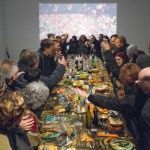 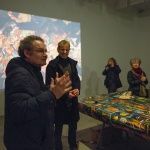 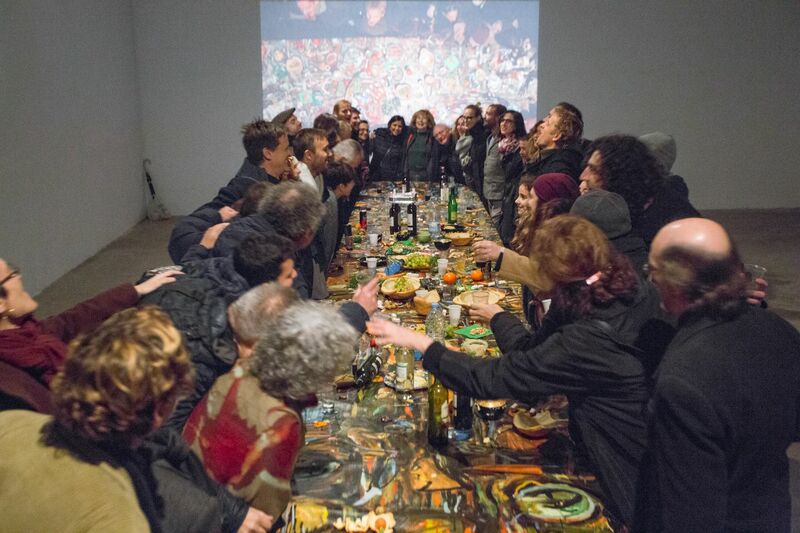 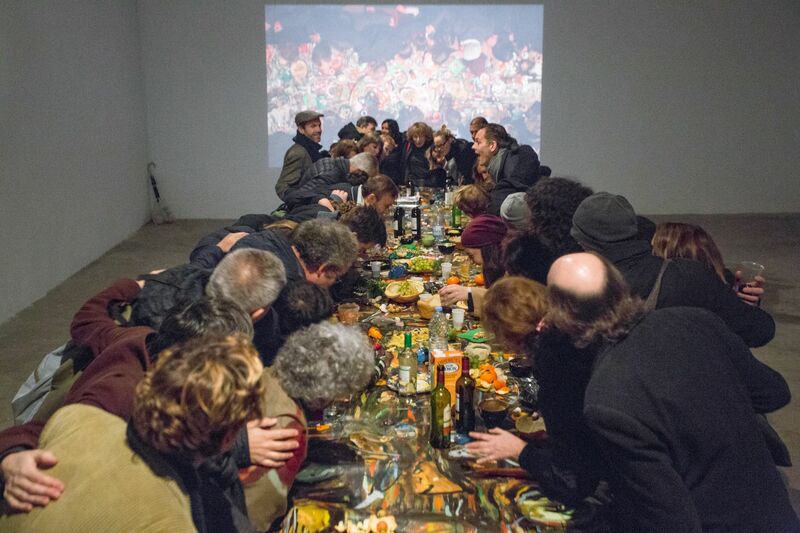 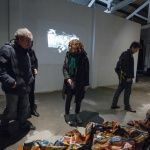 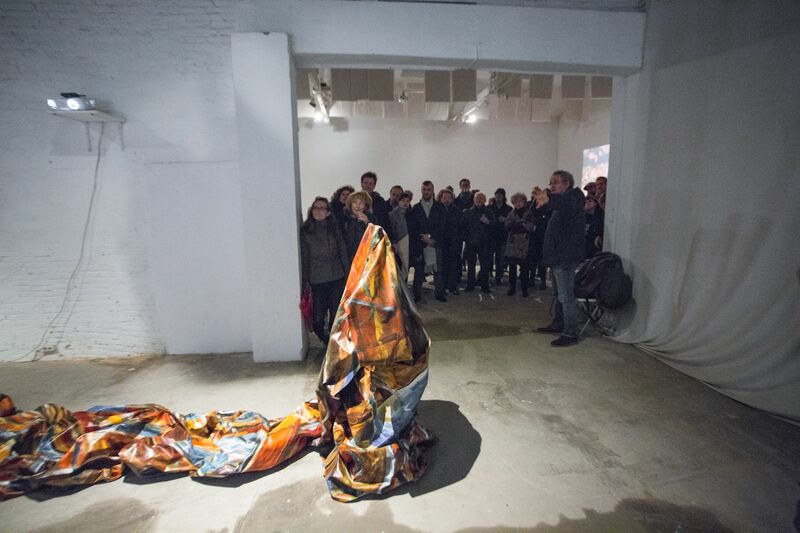 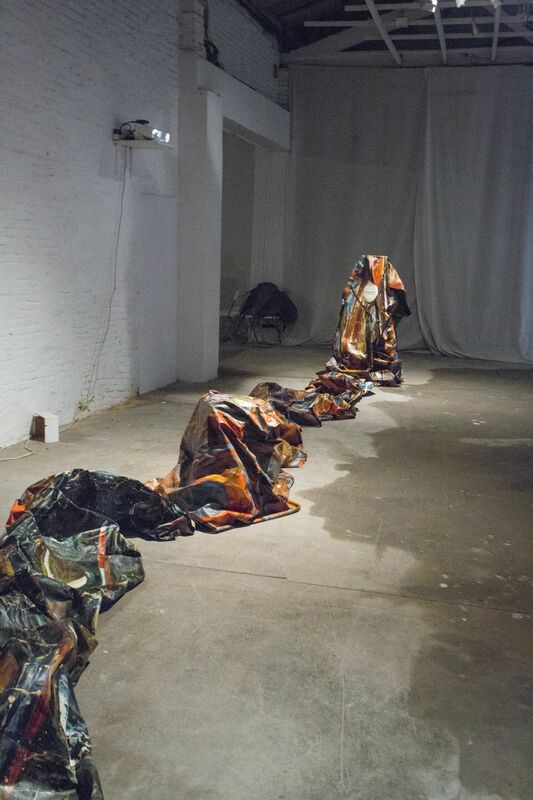 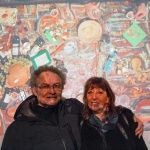 A real action and a poetic projection are articulated during the time of a dinner in which the artist and the guests subvert their perspectives as subjects in a balance, that of an action of material, spiritual and creative consumption. 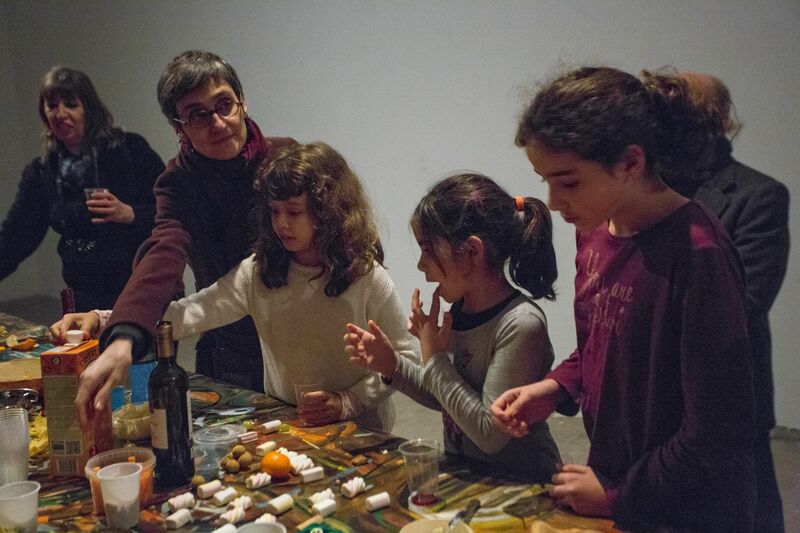 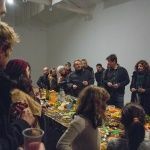 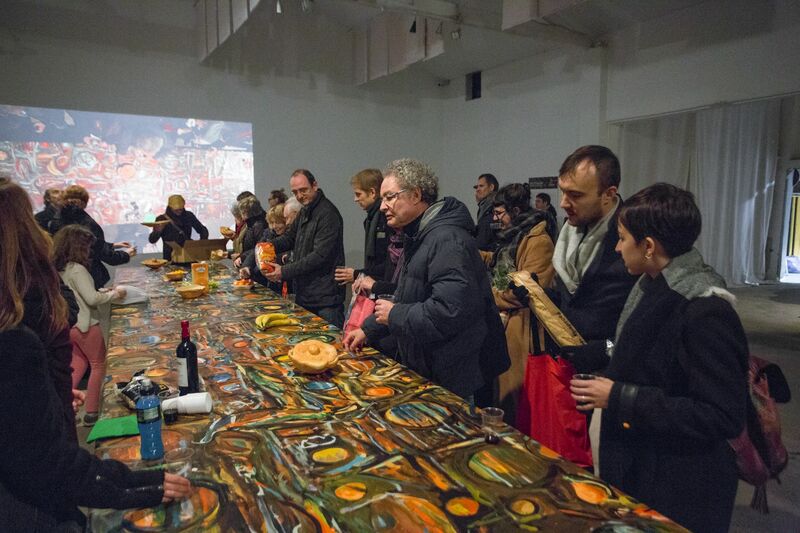 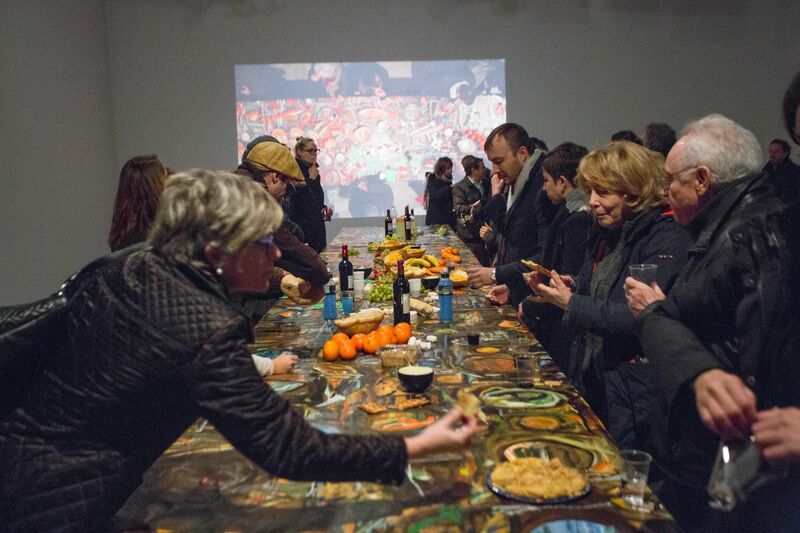 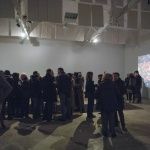 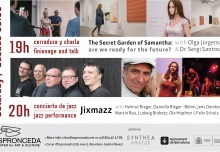 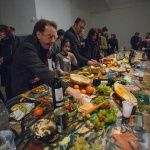 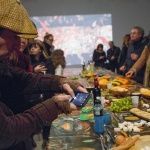 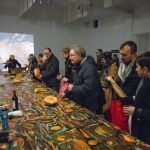 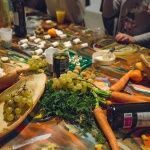 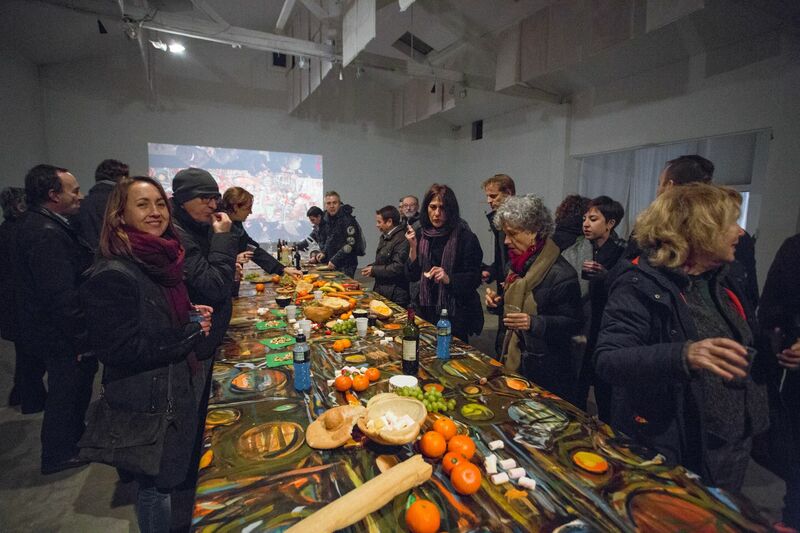 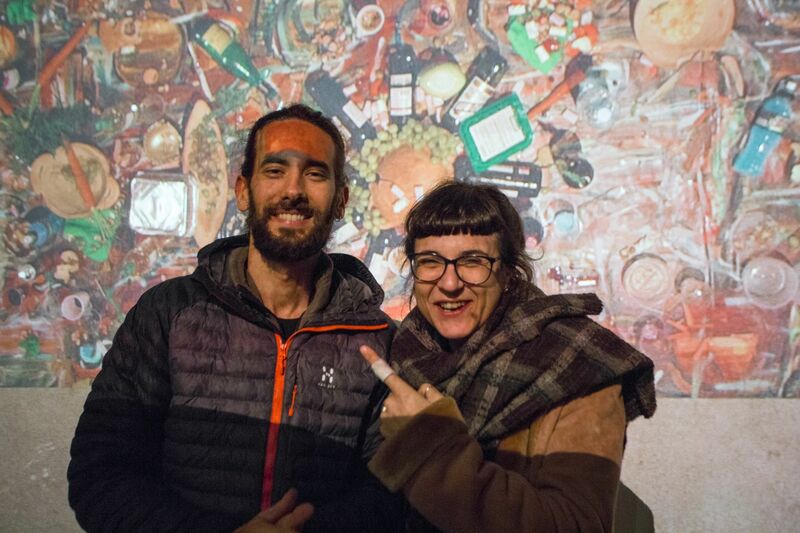 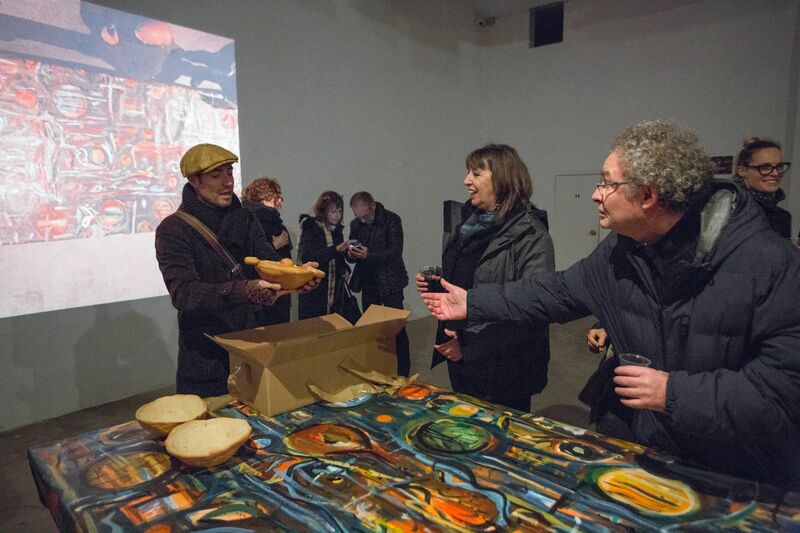 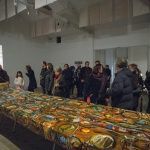 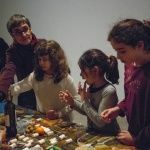 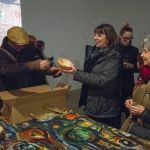 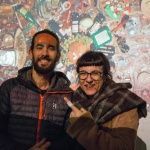 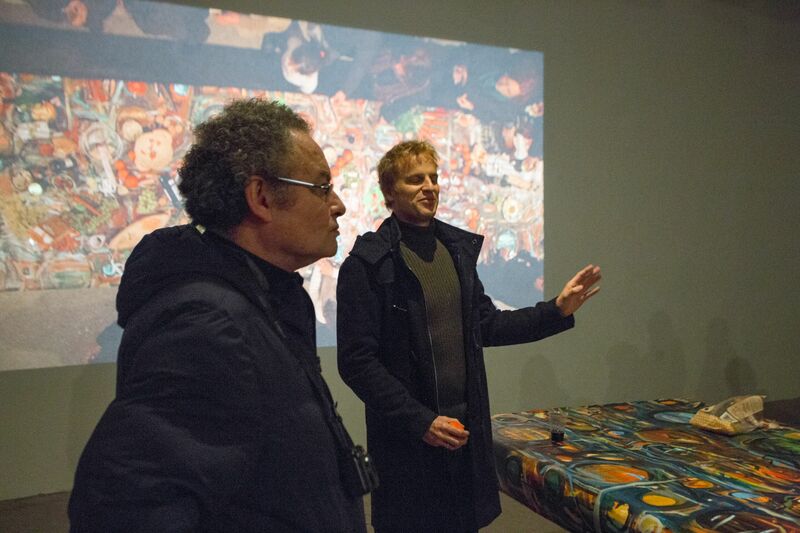 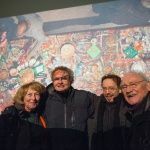 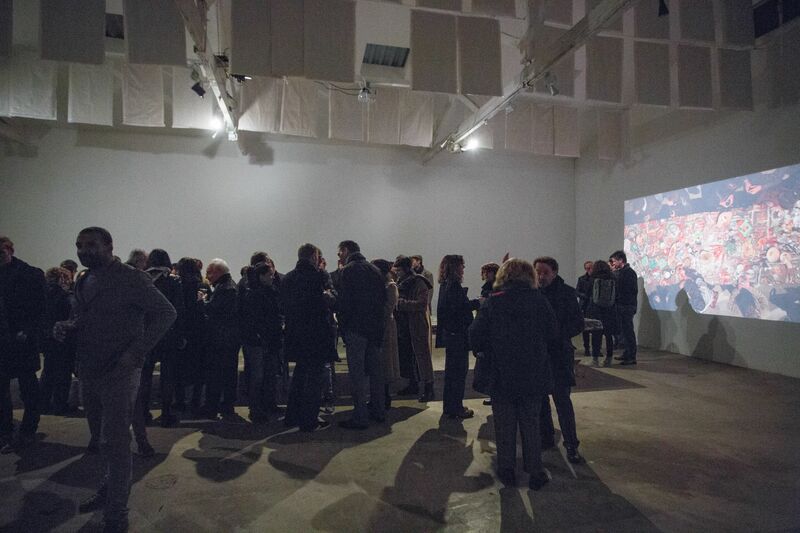 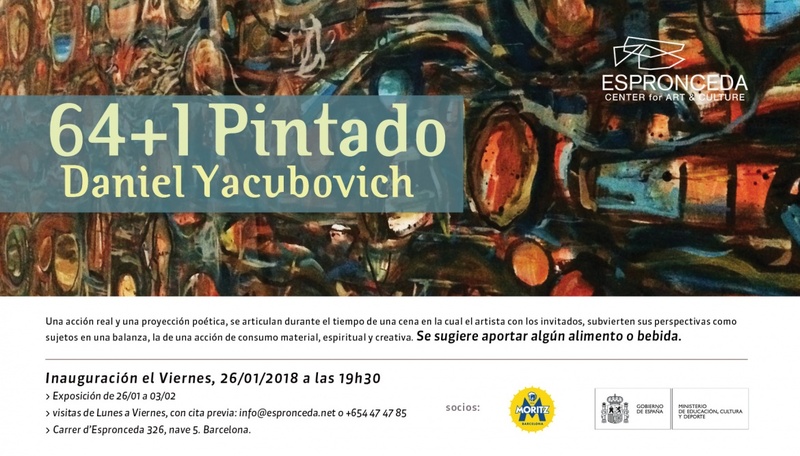 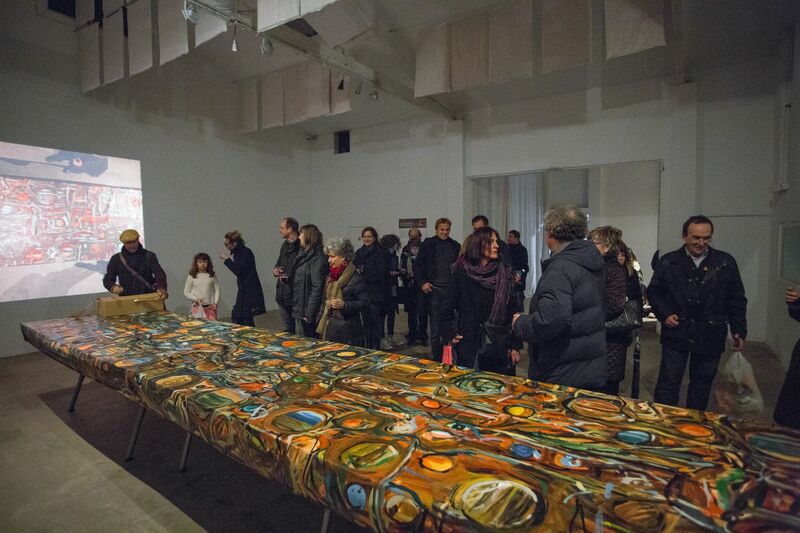 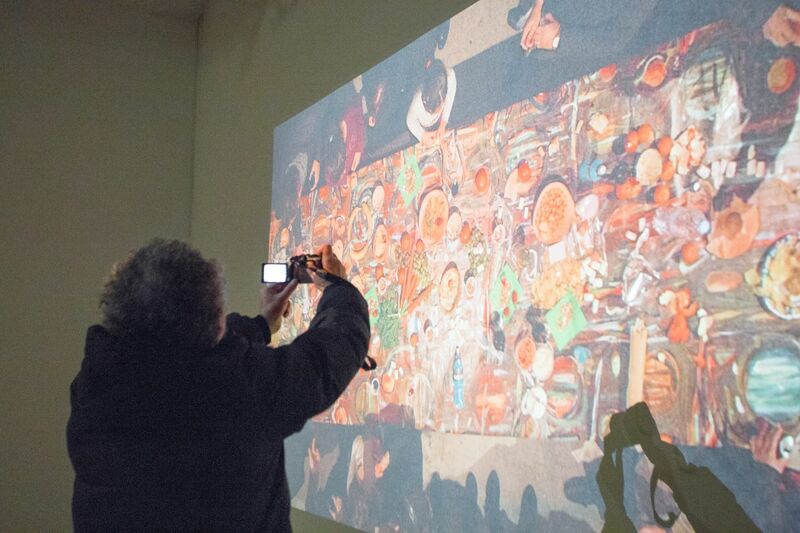 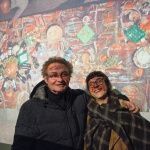 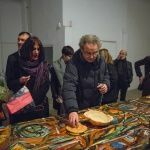 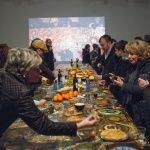 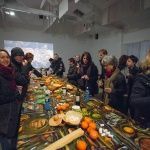 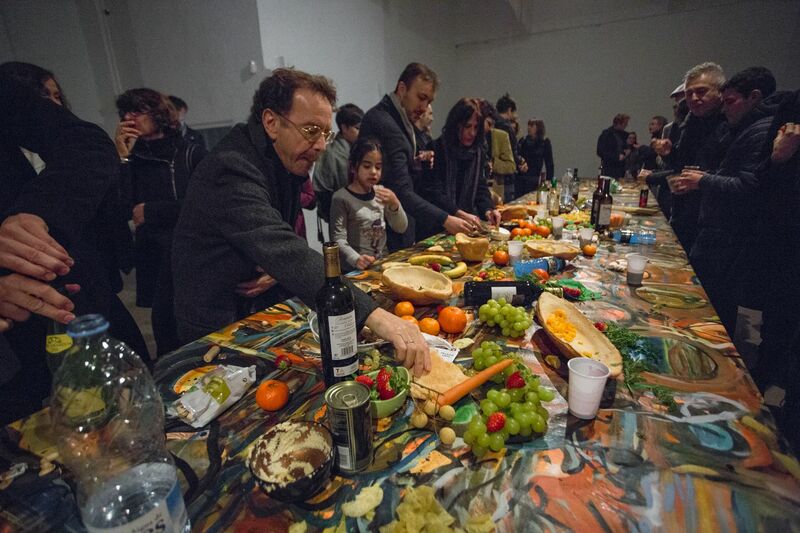 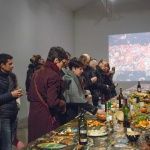 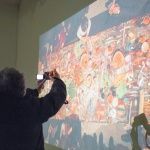 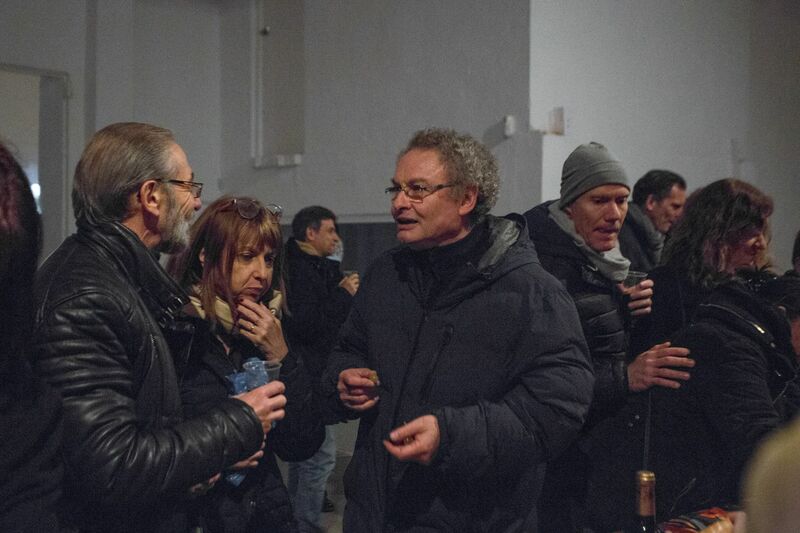 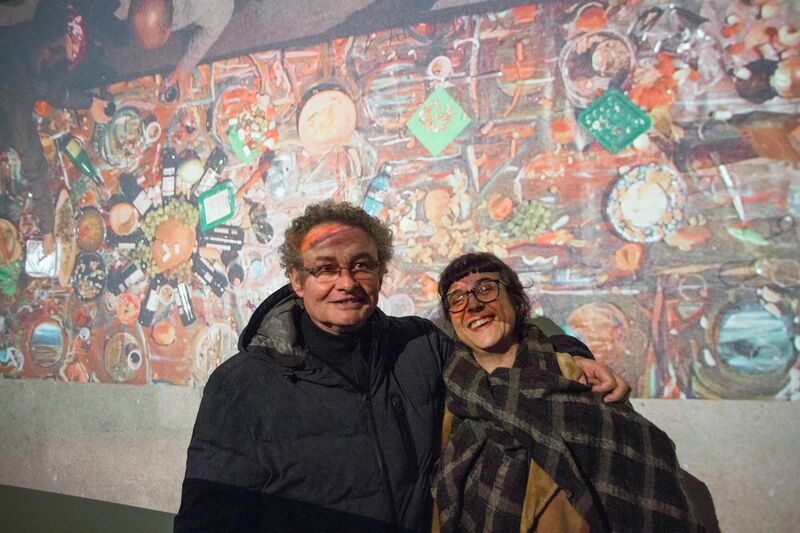 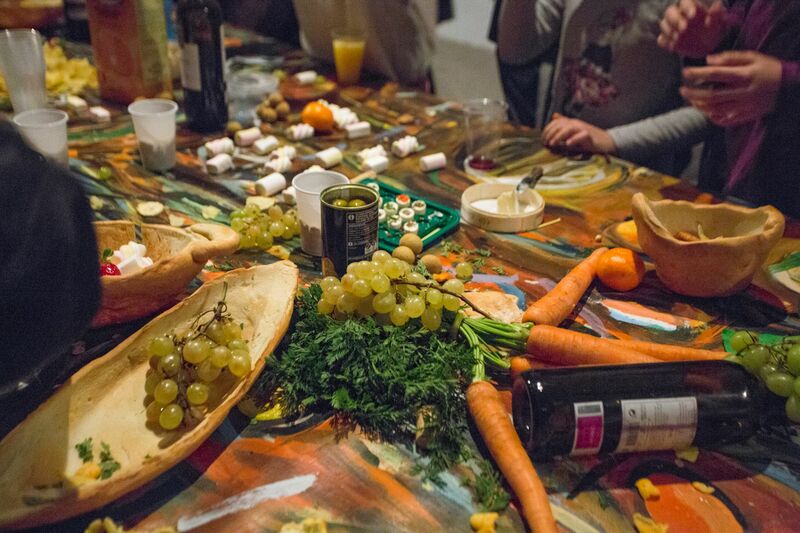 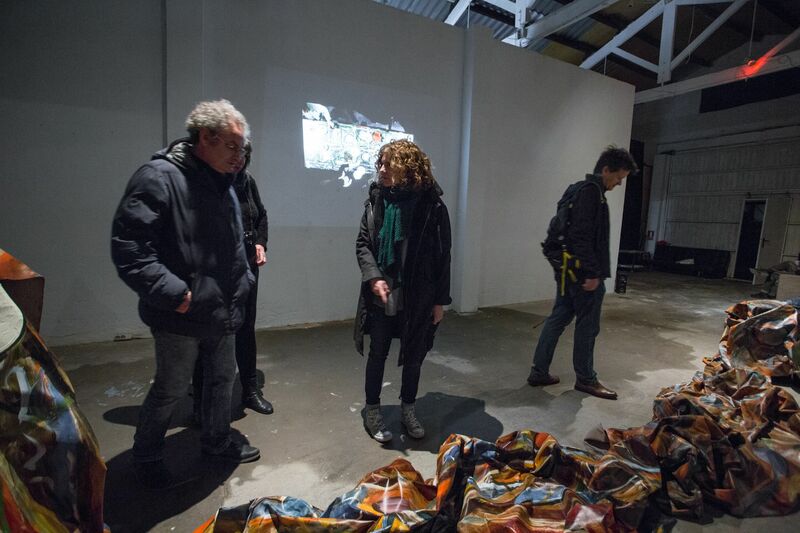 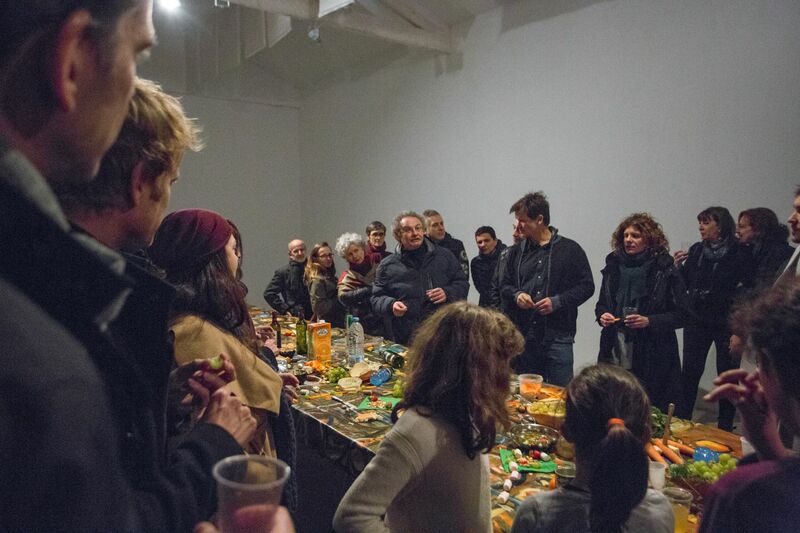 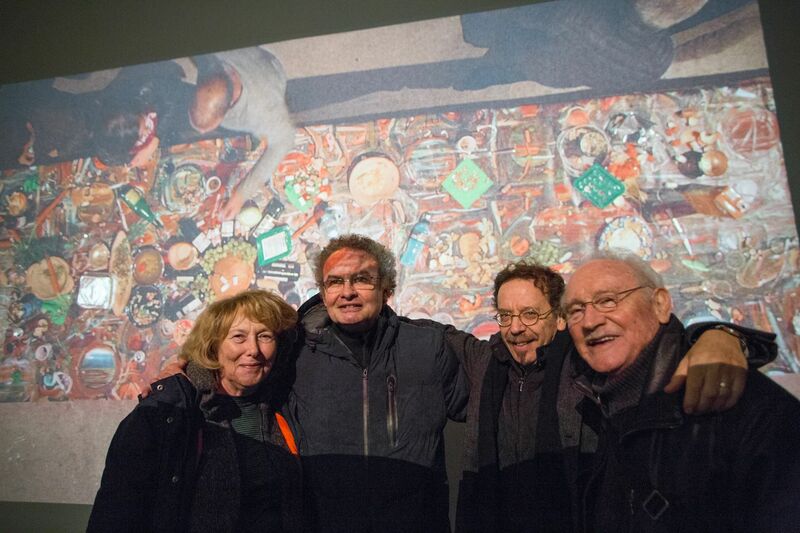 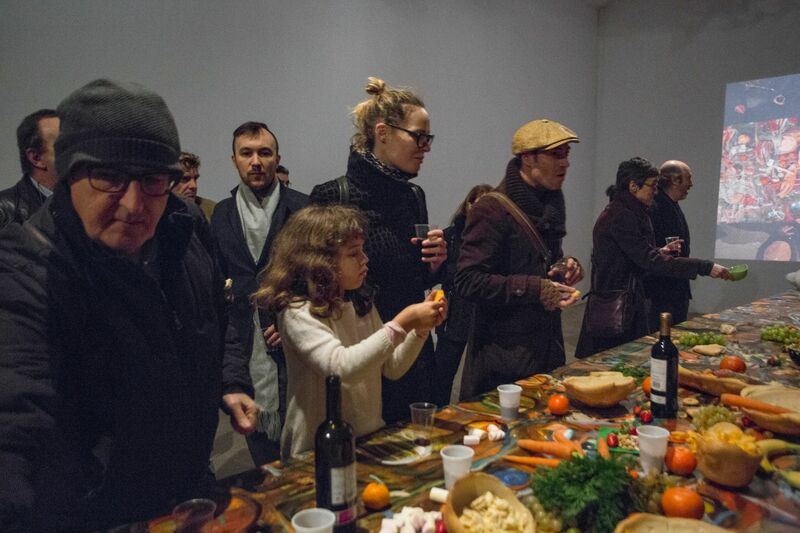 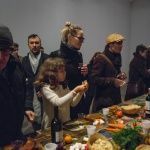 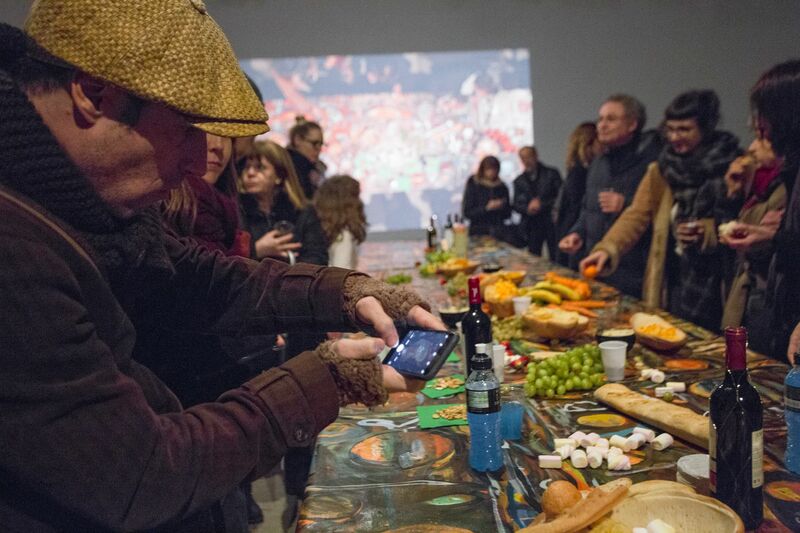 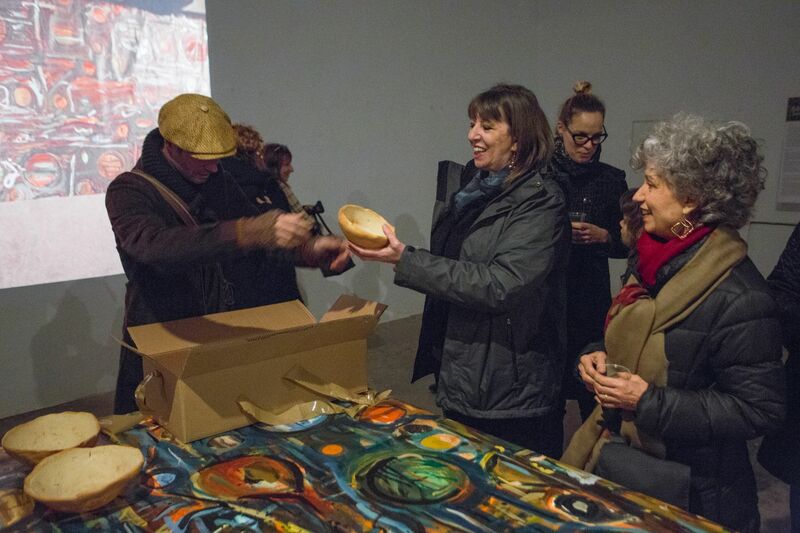 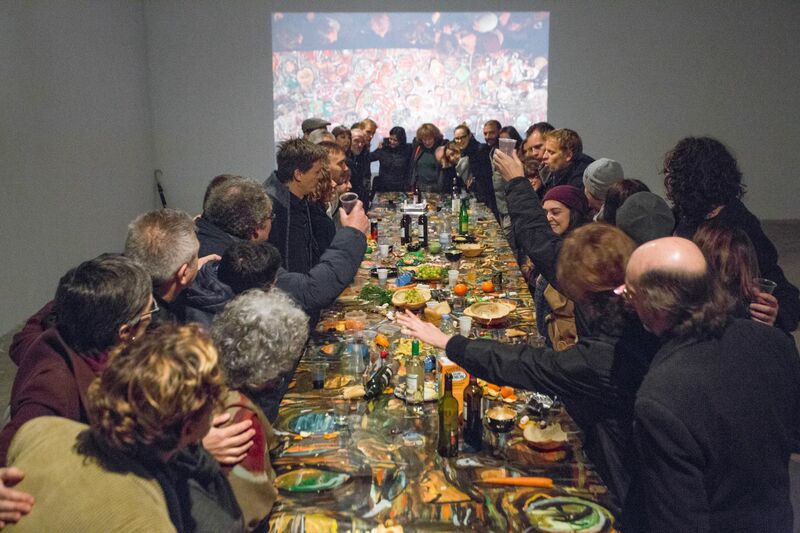 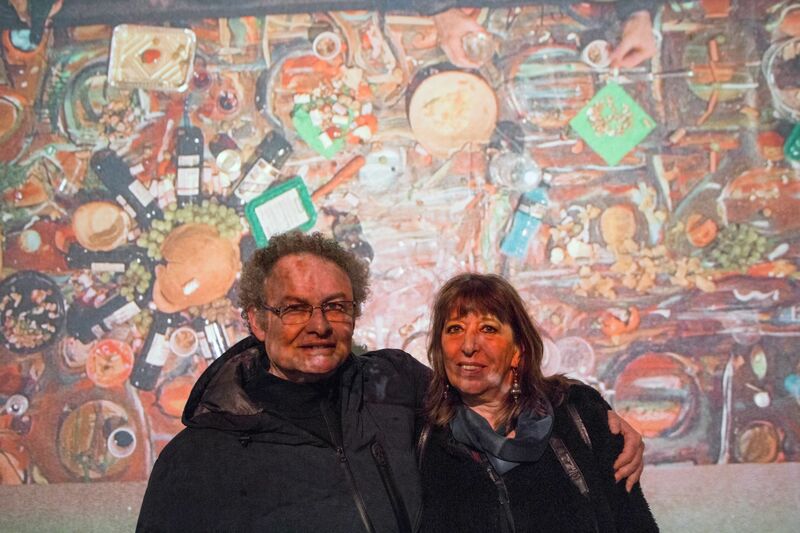 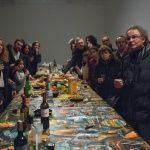 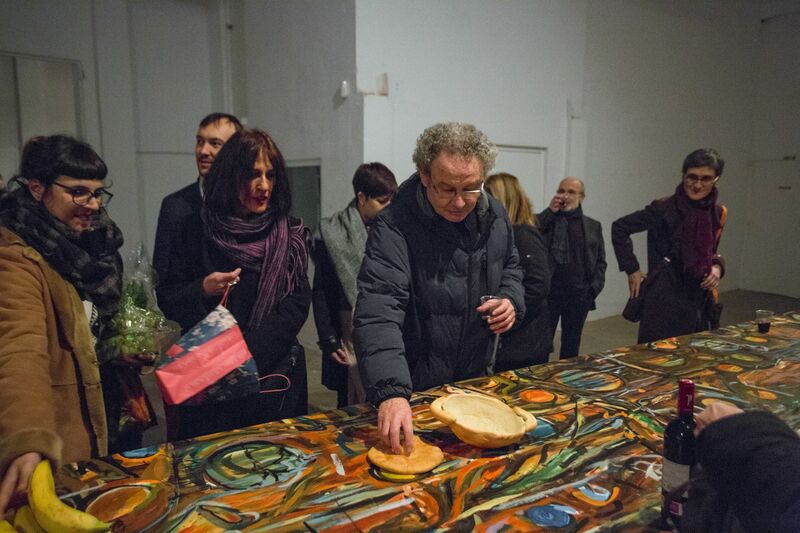 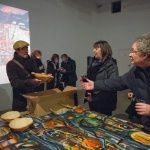 The participants eat, touch and drink, interacting as models, spectators, actors who can stage with their own body, with other participants and with the objects on the table, the painting, ephemeral still life, which is before them is projected live on the wall . 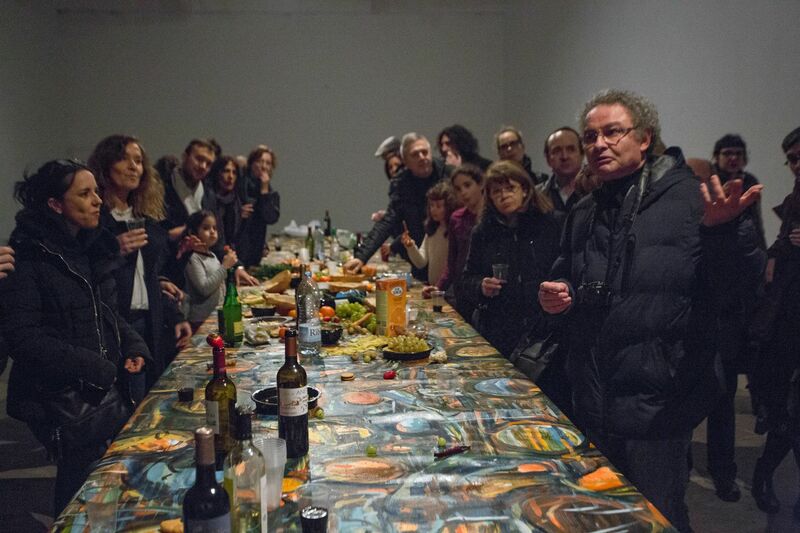 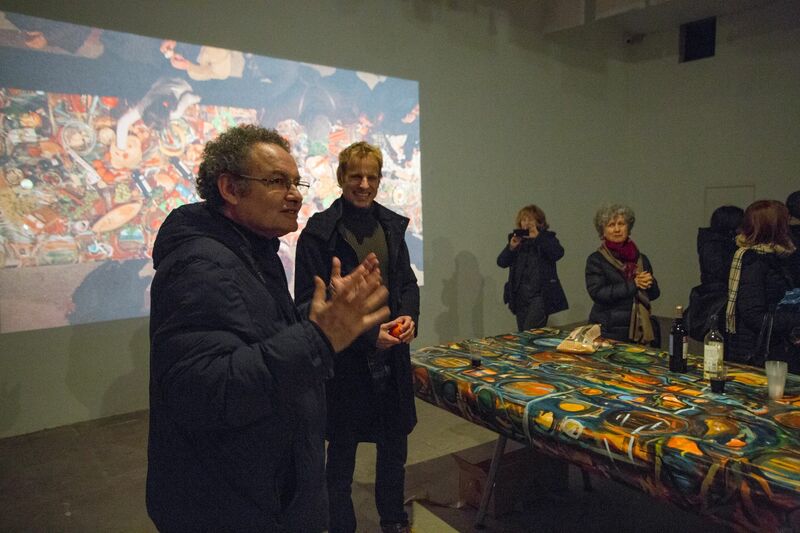 The canvas in its utilitarian function as a tablecloth painted in oil, is projected onto the wall as a cosmos that synthesizes a universe with 2 perspectives, one immanent and one transcendent. 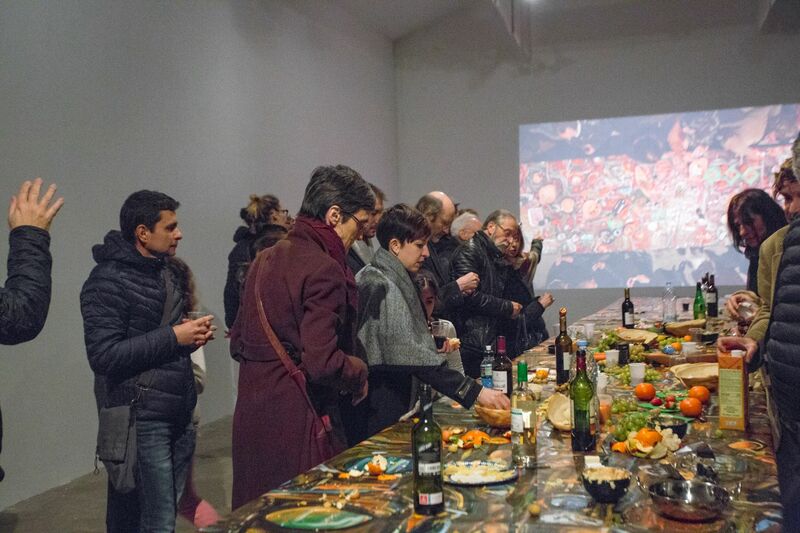 The time of the large, consumed, digested, organic, tactile and visible, or the time of the small, of the set of all the parts in the projected picture, is the harmonic dimension that art has learned for millennia to contemplate as a fundamental value of our human survival, in a desired harmony.